Italian prime Minister Giuseppe Conte . Italy’s prime minister said any foreign military intervention in Libya would not resolve the latest conflict in its former colony, warning it might trigger a refugee exodus. Eastern-based Libyan forces led by Khalifa Haftar are advancing in a push to seize Tripoli, but troops loyal to Prime Minister Fayez al-Serraj’s internationally recognised government have so far kept them at bay. 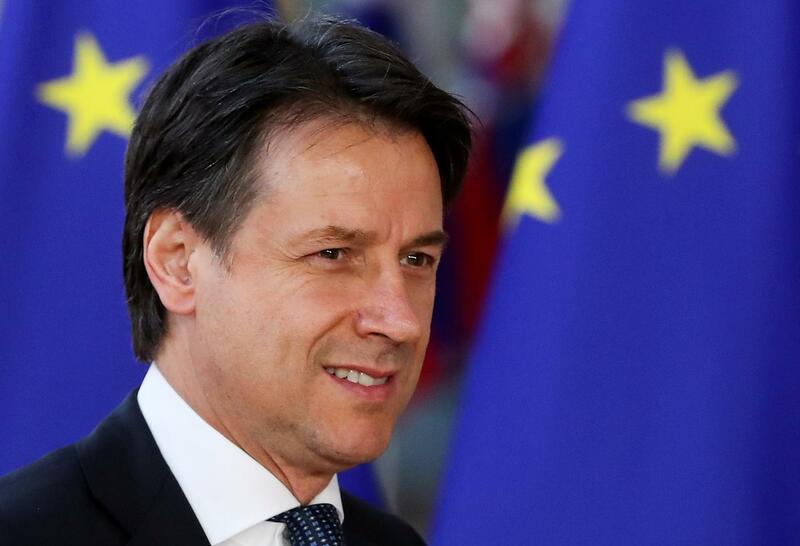 “A military option cannot be a solution,” Italian Prime Minister Giuseppe Conte told daily Il Fatto Quotidiano newspaper. He said talks involving all sides should be held in a bid to halt fighting, which has driven at least 4,500 Tripoli residents from their homes. Italy, a big player in the oil sector in the troubled North African country, supports al-Serraj’s government. Conte said any potential military intervention could push many Libyans to flee across the Mediterranean to southern Europe. At present, Libya is a transit point for migrants from Sub-Saharan countries. The current Italian government repeatedly criticised the 2011 NATO intervention that ousted former Libyan strongman Muammar Gaddafi, saying it created insecurity and chaos and did nothing to bring peace.